This piece originally aired on the public radio program Marketplace on April 6, 2005. You can hear the piece on their website here. Whatever the face value of the money in your wallet, chances are good it’ll be worth less – eventually. That’s what inflation tends to do to cold hard cash. One could invest in art, for example, but you’d have to part with your cash. Or would you? Robin Amer reports. 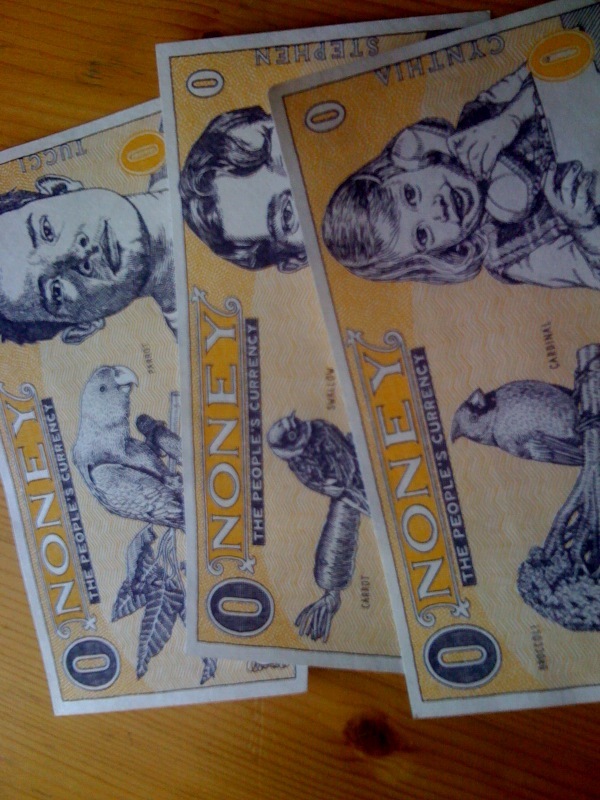 Visit the Noney website here, and Providence artist Alec Thibodeau’s other work here.